My treat when eating, is making a dish, I wouldn’t normally make everyday! Last week, I decided my treat was going to be calamari heads & tubes, when I was in my local fishery, and happened to see it freshly available. Yummy! But being on LCHF, made me realized my typical flour-batter was not an option, so I needed to experiment. And the above was the results! In a separate bowl mix the herb salt and flours together. 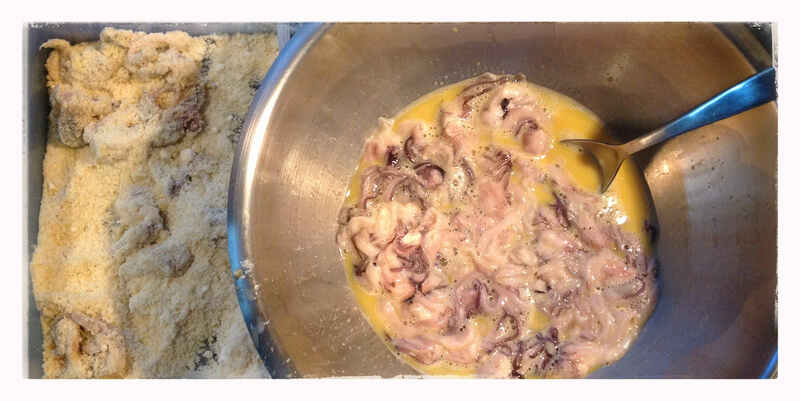 Dip the calamari in the eggs & then dip into the flour mixture. Rest in fridge for one hour. You can either then fry them for a few minutes, since it doesn’t take long too cook OR you can bake on an oven tray in a preheated oven of 190 degree celsius for approximately 15minutes or until crispy light brown. 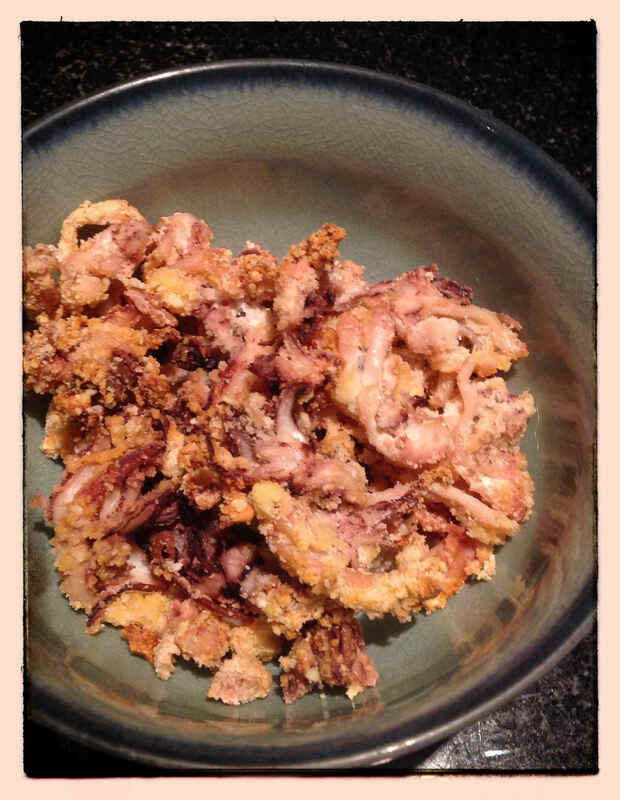 This entry was posted in lchf, LCHF recipes, mains and tagged calamari, crumbed calamari, lchf calamari by angelb38. Bookmark the permalink.